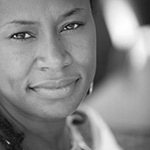 KARIMA GRANT is a writer of fiction for adults and children. She has contributed previously to Solstice and has written two picture books for children. She lives in Dakar, Senegal, with her husband and four children and is co-founder and executive director of ImagiNation Afrika, sub-Saharan Africa’s first children’s museum.